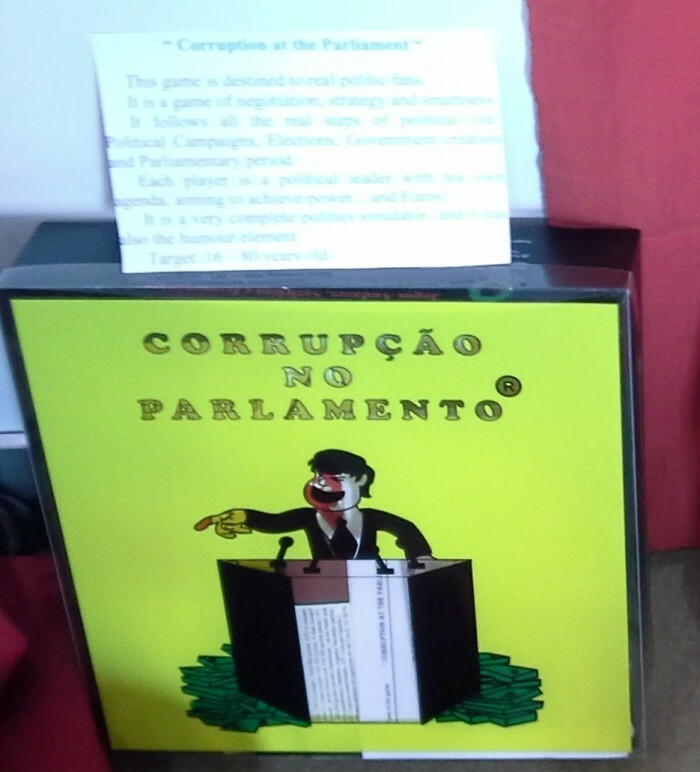 Irreverent Board Game "Corruption at the Parliament "
This game is destined to real politic fans. It is a game of negociation, smartness and strategy. It follows all steps of political life: Political Campains, Elections, Government actuation and Parliamentary activity. It is a very complete politics simulator, and it has also the element of humor… and corruption! Any decision can be traded for the right prize, and at the end the goal is power... and money! This game is a very interesting option taking in accont that we live in a time when people mistrust polititians. This is an irreverent option for a certain part of the potential market. This game is protected by copyright. Page created at 2019-04-26 6:14:01, Patent Auction Time.